As a business owner you are always faced with financial considerations. That question, “How can I save money?” Or, “Do I really need this?” They are common questions. When it comes to your Internet connection, we have recently described how saving money on your Internet connection is often times, not the best choice. Then there is the matter of the static IP address. Why is this also costing you more money? Those Internet providers are always trying to find a way to take more of my money! Or, are they? There are many benefits of dedicated IP hosting. Dedicated IP allows for your own anonymous FTP area, and it allows you to serve an SSL web site with your certificate. Another benefit is the ability to stack multiple sites on the same address without worrying about interfering with any other sites, these would be "addon domains" and can be setup in cPanel. An addon domain is a domain that points to a folder within your web folder it allows you to host more than one domain on a hosting account, you must register the new domains as you would any other. 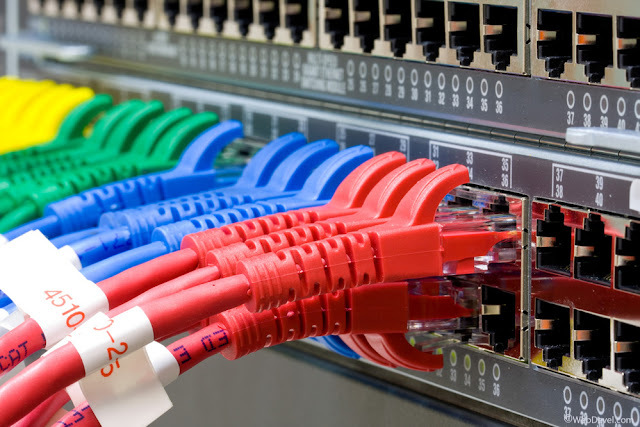 Most businesses use high speed Internet to run private or public servers. These people want their Internet address to stay fixed with the same numbers all the time, so people know how to access their server. In a shared hosting environment, if someone you share with a common IP gets trouble for spamming or scamming, the shared IP address could get blacklisted or banned by Internet Service Providers (ISP) and it would affect all domains using the said shared IP address. When your shared IP address is banned or blacklisted on some ISPs, your website will not be accessible to some areas in the world and your emails get blocked. It would directly affect your online business operations, search engine ranking and reputation. Getting a dedicated IP address resolves this. A dedicated IP isolates your domain and protects it from being affected from the consequences of abuses done by other shared users. With a dedicated IP address, online businesses can have the confidence of better identity. Customers feel unsafe doing monetary transactions on sites that use a shared IP address because of reliability and security issues. A truth about this is that security certificates like private SSL requires a website to run over a dedicated IP address before it can accept credit cards online. Although you can still run an e-commerce site using a shared IP address, through a shared SSL certificate, having your own dedicated IP will make things easier and convince your customers to avail products or servicesand close deals. Search engines track websites through their addresses (domain name and IPs). It has been found that most search engines favor websites running over dedicated IP address. Sites with a dedicated IP addresses do better in ranking on Search Engine Results Pages (SERP). For online businesses, this concern is very important. Certain functions on a shared hosting plan cannot be enabled if you are using a shared IP address. For instance, Anonymous FTP can only be enabled with a dedicated IP address. Anonymous FTP lets anyone using FTP client software to access the files in a special directory of your site. Also, having a dedicated IP allows access to your website by FTP even if your domain name is still inaccessible due to propagation. Although these days most browsers are compatible with shared IP hosting, dedicated IP accounts are compatible with all browser types. Customers who have Dedicated IP Internet Web Hosting accounts also enjoy the option of creating a site without a domain name (some types of businesses or parties designing private intranet websites prefer IP-only access structures). With a dedicated IP address, online businesses can have the confidence of better identity. Customers feel unsafe doing monetary transactions on sites that use a shared IP address because of reliability and security issues. A truth about this is that security certificates like private SSL requires a website to run over a dedicated IP address before it can accept credit cards online. Although you can still run an e-commerce site using a shared IP address, through a shared SSL certificate, having your own dedicated IP will make things easier and convince your customers to avail products or services, and close deals. 9. The Need for a Static IP Address! People with a static IP address may have a domain name or corresponding email accounts, such as [InsertYourBizNameHere].com, linked to their IP address. So if the IP address changed whenever they had to turn their modem or router off, their server and thus the email could become unreachable. A static IP address can also help when VPNs are being set up for remote access to your business office resources. Without the ability to also know your offices “calling card,” work would be cumbersome. There are a limited source of public IPv4 IP addresses. While they are working on IPv6 to expand the IP pool, the tech and implementation still has a ways to go. ARIN, the American Registry for Internet Numbers, is responsible for the allocation of all public IP addresses to providers. Providers must prove the necessity of the need for all IP addresses they are provided. There is a cost associated to the provider for each pool of addresses. In other words, the providers don’t get IPV4 addresses for free either. There are more resources, both technically and in man hours, to managing static IP addresses because of their “always on” nature. It limits maintenance and provides more accountability for the provider. So if you are a business, looking at the costs at the end of the day – know that your static IP address is worth the small price you pay for it for all it gives you in return.